In the week of the Queen's Speech we've found out even more about the EU referendum, the government performs its first of likely many U-turns and it's bye-bye to Nick Clegg while another politician is planning yet another comeback. 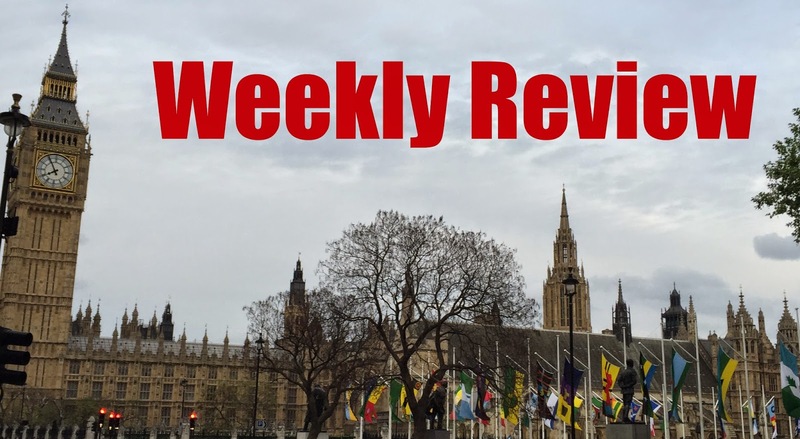 Article of the week: Journalist and blogger Nick Tyrone discusses his worries that main opposition to the Government comes from the Conservative backbenches – while Labour are fighting amongst themselves (again) and the Liberal Democrats are still licking their wounds. With the EU referendum only a year away, much more information has come out about the upcoming vote. First, the government have announced its proposals for the franchise – UK, Irish and Commonwealth citizens will all be able to vote, but EU citizens will not (except Maltese and Cypriot as they're in the Commonwealth...). This decision has been praised by Eurosceptics, excluding a large proportion of likely pro-European voters, however, it's come under criticism from nearly everyone else – the SNP have been particularly vocal as EU citizens could vote in the independence referendum (yes that again!) and one of their MSPs (a French citizen) would be excluded. Many on the left have also called for 16 and 17 year olds to be allowed to vote, saying that the vote will impact their future too – a precedence set in last years independence referendum, something that was always going to become an issue. Meaning that saying "Yes" will mean a vote to stay in the EU – a victory for the Europhiles, as it is definitely easier to say yes than no – we nearly found that out last September! UKIP will be no doubt disappointed that the Conservatives have not chosen their question. On Wednesday, we had the firstfully Conservative Queen's Speech since 1996. In it we see many of their manifesto pledges – the EU referendum bill, legislating against tax rises (although I'm not quite sure why we need a law to stop the government making up laws...) and reducing the benefit cap to £23,000. However, the most interesting thing about the Speech waswhat wasn't mentioned... "My government will bring forward proposals for a British Bill of Rights." Hang on, what about replacing the Human Rights Act with this Bill of Rights?! It now seems that this is the first U-turn of the parliament (and it was all going so well) – the irony being that the proposals have been dropped due to opposition from Liberal Conservative MPs, a useful excuse for Cameron as he never expected to get a majority to implement it anyway. The proposals for the English Votes for English Laws havealso come under some criticism from the SNP (surprise surprise!) – however what they said makes a lot of sense. The Queen's Speech said that EVEL (yes, that is the abbreviation) would be brought about by changing the Standing Orders of the House rather than legislating. Alex Salmond pointed out that changing the voting rights of MPs without a vote could set a dangerous precedent for any majority to government to restrict the voting rights of certain members in the future (this was the biggest shock of the week for me, it's not often I find myself agreeing with the SNP). Continuing with the Queen's Speech theme, Nick Clegg's response was his final speech as Lib Dem leader. Unfortunately due to the Lib Dems poor position they have now given up their "third party perks" to the SNP, so poor Clegg only had 12 minutes to speak. He used this time to urge David Cameron to set out the powers he wants back from the EU, so he can be judged if he has succeeded or failed. He also predicted that the EU reform would "devour" the Tory party - much like it did to the Labour party in 1975, something that led to the creation of the Lib Dems in the 80s. He also bemoaned the lack of Liberal voice on the government benches, saying that the Prime Minister had forgotten his commitment to fairness and civil liberties by pressing ahead with plans for a "turbocharged snoopers charter." After his speech, the former Tory Chief Whip Andrew Mitchell (the one with the bike) praised Nick Clegg, saying that history would treat the Lib Dem's impact on government much more favourably. After losing his seat in Bradford West, George Galloway promised to go off "to plan [his] next campaign" and it's not completely unexpected...he's running for Mayor of London. Galloway is an incredibly divisive figure in British politics, often criticised for using the politics of division in his campaigns. He also recently supported the now disgraced and disqualified former Mayor of Tower Hamlets, Lutfur Rahman – not something that will endear him to the people living there. Say what you like about Galloway (I already have), you cannot deny his charisma and ability to engage with people, and given the current lack of inspiring candidates from Labour and Conservatives, he will certainly attract people to his cause. I find it unlikely he will win (although he could do a Ken Livingston) but, he will certainly bring a lot of noise and emotion to the campaign.